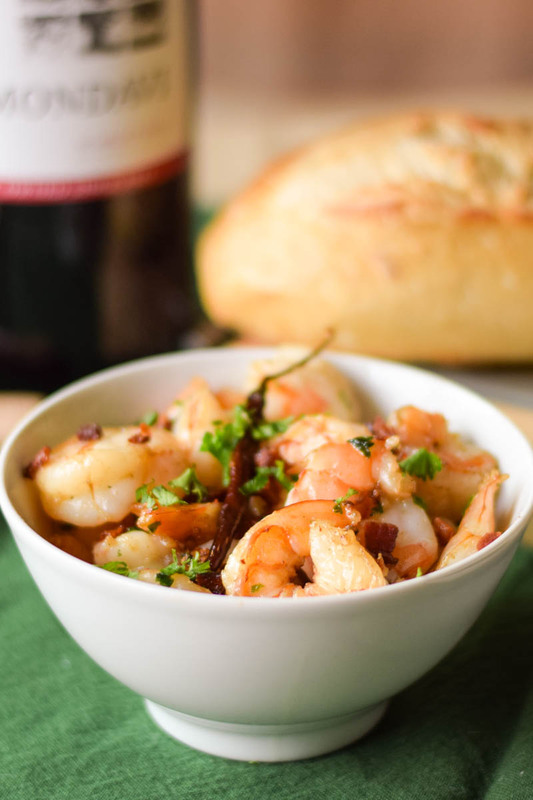 Garlicky Shrimp with Pancetta Olive Oil is full of flavor from the garlic, pancetta, and olive oil combination with a little added kick of heat from the chili pepper. Lick your bowl clean good, or better yet, swap it with a piece of crusty bread to soak up all that flavor! 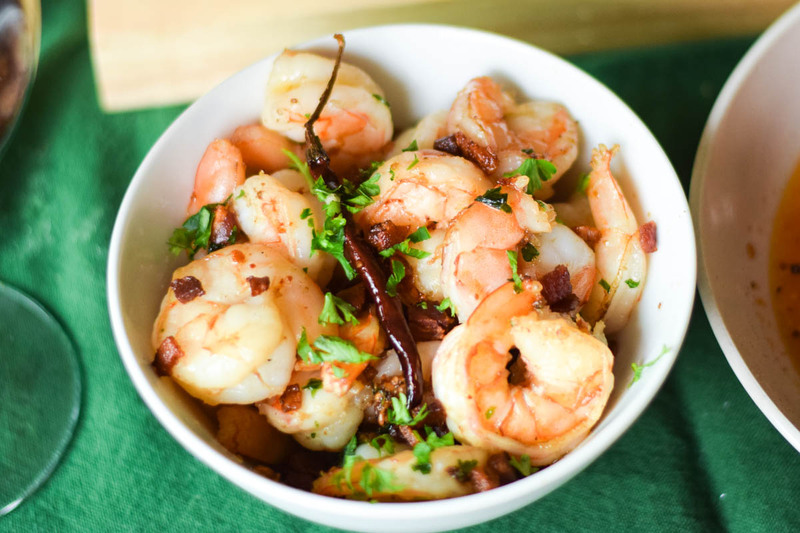 I am excited to share with you today, this mouthwatering Garlicky Shrimp with Pancetta Olive Oil as part of our LIVE Sunday Supper event at Tapa Toro in Orlando, FL! Several Tastemakers have gathered together after the amazing Food & Wine Conference to enjoy an awesome experience with delicious food and a vibrant, energetic atmosphere. The perfect ending to a perfect weekend! When I decided to make this dish, I thought I wanted to do something a little different. That is where the pancetta comes in. I know, pancetta is an Italian bacon, but I like thinking that adding a little bit of fusion to my recipe is ok, especially since it was bacon! To start I cooked the pancetta until it was nice and crispy. Removed it from the skillet and left the fat in the pan. I added about 1/2 cup olive oil to the pancetta fat and cooked the garlic, parsley and chilis over a lower heat. The garlic, chili peppers and parsley are sizzled for just a few seconds in the pancetta fat and olive oil mixture, causing a wonderful aroma to fill your senses! You want your oil hot enough to sizzle but not burn the garlic. It can be tricky as garlic burns easily, so watch it very closely. The shrimp is added to the oil mixture and cooked until it’s just turned pink. Strain the shrimp from the fat and place in a serving bowl sprinkled with the crispy pancetta. 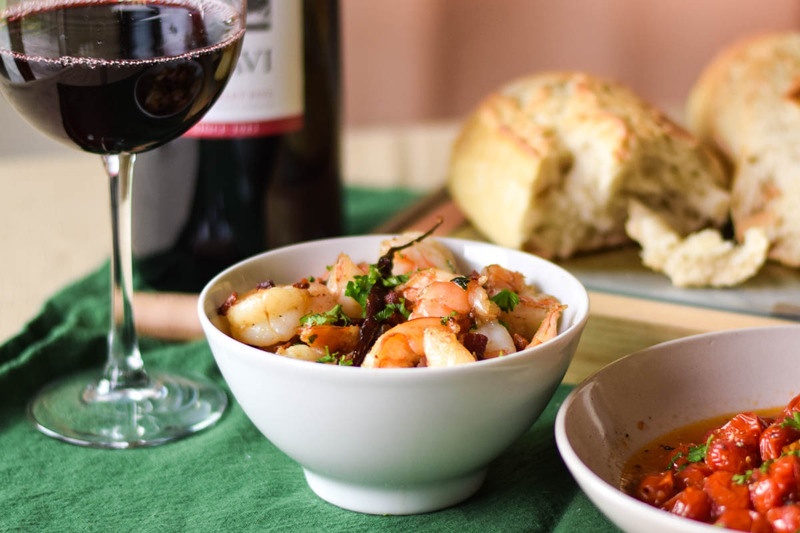 Serving Suggestion: I served this Garlicky Shrimp with Pancetta Olive Oil with a side bowl of the Pancetta Olive Oil mixture used in cooking the shrimp with a crusty bread for dipping. 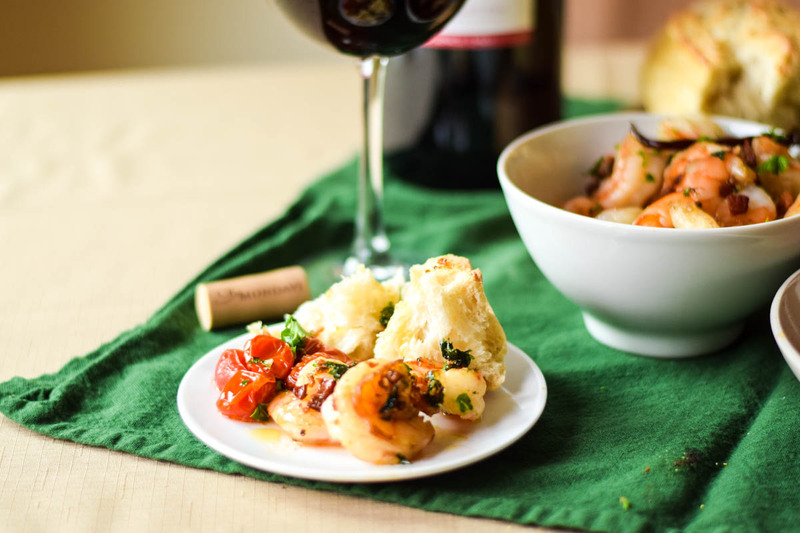 A perfect accompaniment to this shrimp was oven roasted grape tomatoes, simply seasoned with salt and pepper and roasted in the oven until the skins started to burst open. Would you like to try more Tapa recipes? Be sure to follow the links below to see what the other SundaySupper Tastemakers created! Be sure to join us in our twitter chat tonight (Sunday, May 15th at 7 pmET) LIVE from Tapa Toro! In a skillet over medium heat, cook pancetta until well browned. Remove pancetta from pan and set aside. 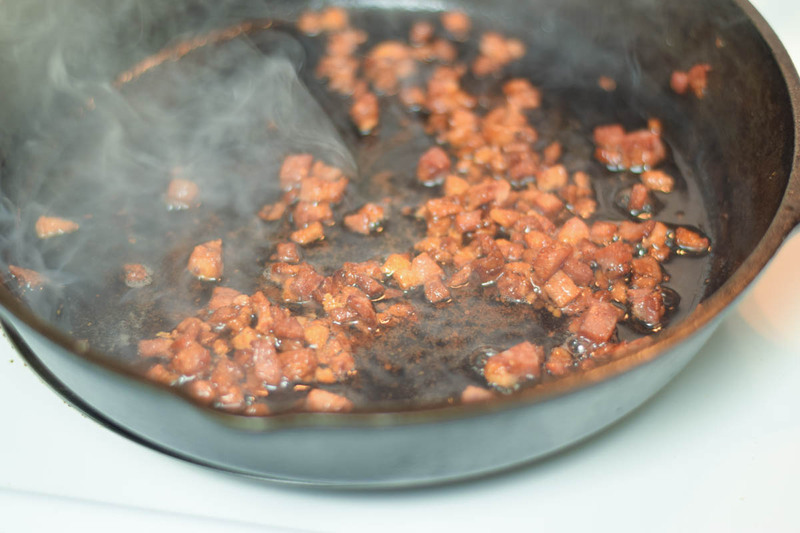 Add the olive oil to the pancetta fat in your skillet. 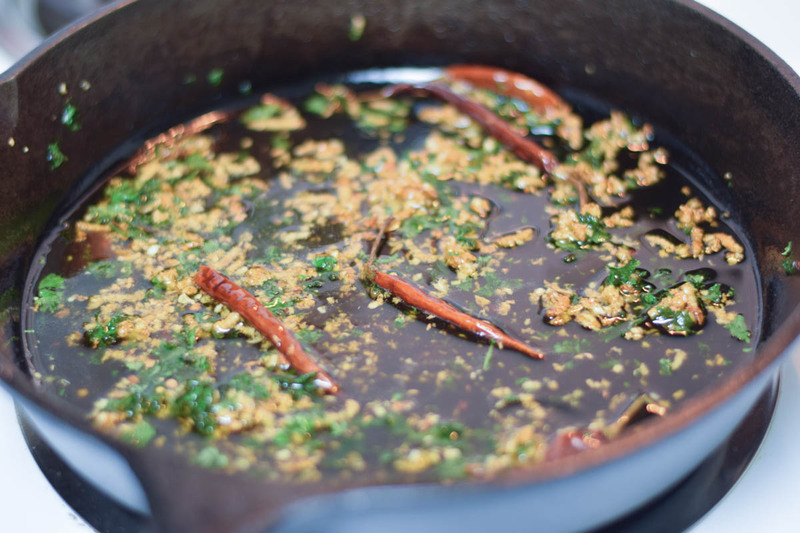 Cook the garlic, dried red chili peppers and parsley in the oil mixture for about 10 seconds. Add the shrimp and cook until pink, about 3 minutes, stirring the shrimp often. 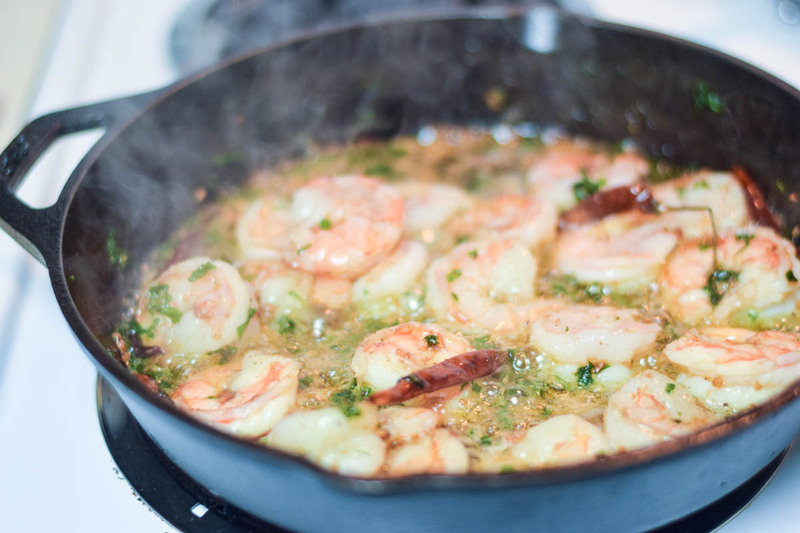 Remove shrimp from pan and toss with pancetta. Pin it! 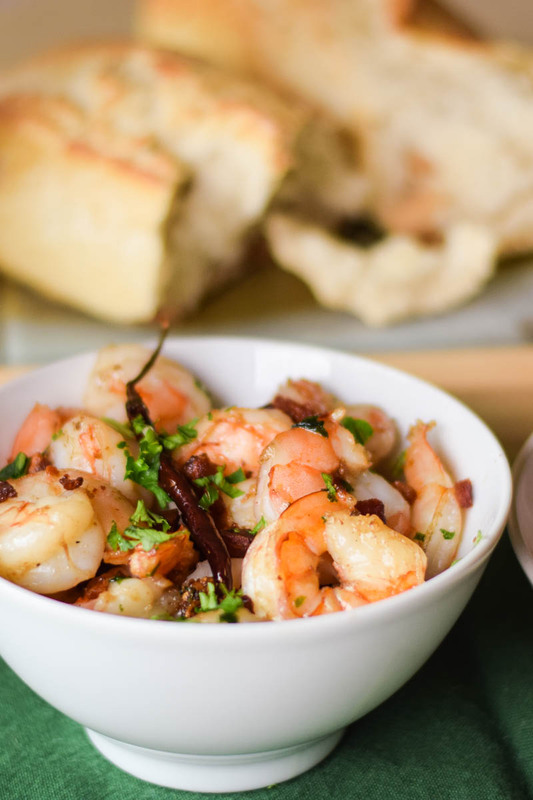 Garlicky Shrimp with Pancetta Olive Oil! WOW! My husband would absolutely love this dish..garlic, shrimp, and pancetta are all on his favorites list. Mmmmm….what fabulous shrimp! I’d be eating and dipping my bread and swooning if I had this spectacular dish in front of me! 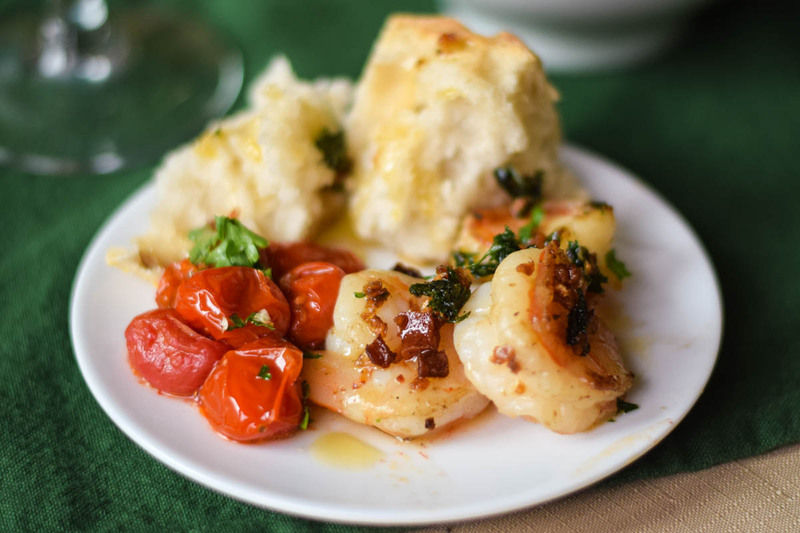 One of my favorite tapas dishes is shrimp with garlic and chili and the pancetta is a lovely addition. Girl you are one great cook! love this!